This October, Megaworld Lifestyle Malls and Eastwood City joins the fight against breast cancer with the launch of Pink Power, a month-long information campaign that aims to empower women with the tools they need to help reduce breast cancer risk. When it comes to the battle against breast cancer, the Philippines continues to have a tough fight ahead, with one out of every 13 Filipino women estimated to develop breast cancer in her lifetime. 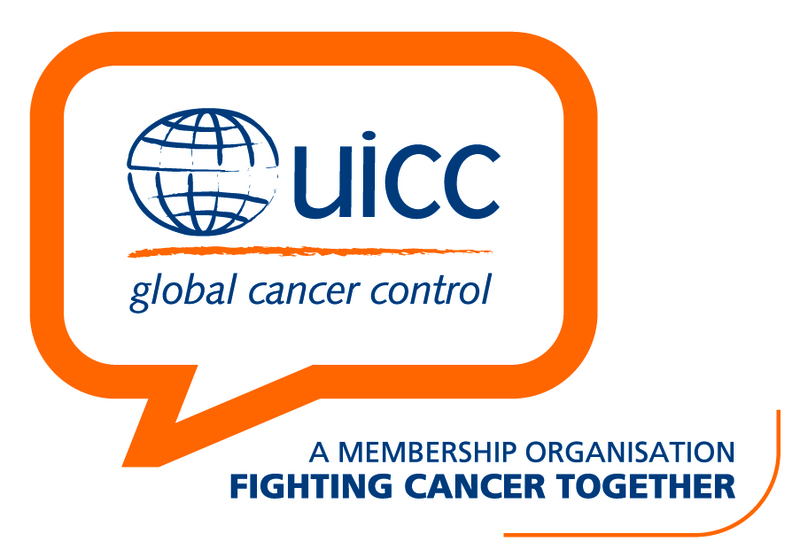 Yet, despite these alarming statistics, breast cancer is a curable disease, with better disease awareness and early detection becoming key to breast cancer survival. 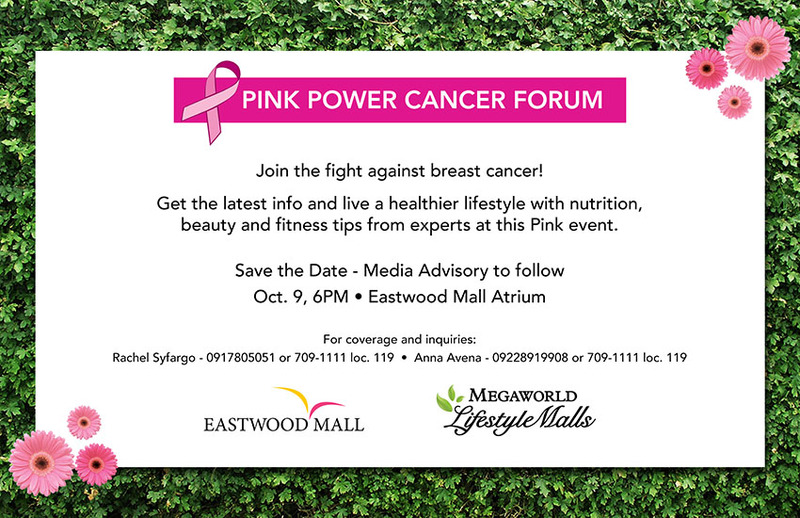 The campaign will kickoff at the Pink Power Cancer Forum on October 9, 6 p.m. at the Eastwood Mall Atrium. 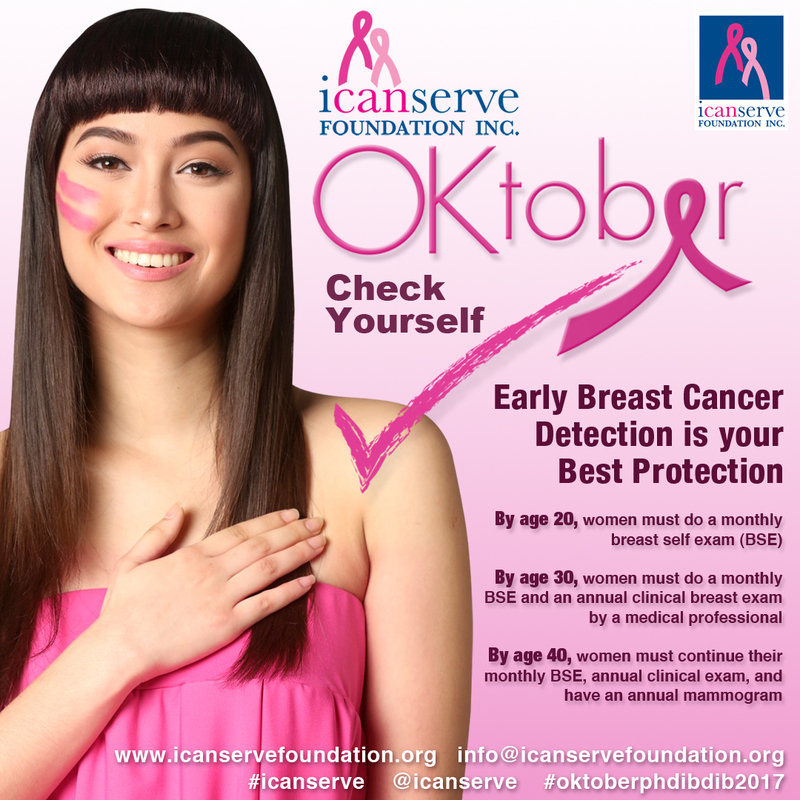 Done in partnership with ICanServe Foundation, the program includes appearances from breast cancer advocates and health and fitness experts. Guests can hear the testimony of breast cancer survivors and learn about the latest information on breast cancer from a respected doctor to help them become more proactive in battling this disease. They can listen to talks on healthy eating from a Fitness First Nutritionist, get beauty tips from Tokyo Posh in Eastwood City, and Fitness tips from Curves to encourage them to live a healthier lifestyle. Guests can also enjoy trivia games with prizes from brands that support this lifesaving advocacy, and make a statement at the Pink Power Statement Wall. To be part of the Pink Power forum, shoppers can pre-register at the Eastwood Mall Concierge, located at the Ground Floor of Eastwood Mall, and get the chance to pick a prize after the program. All they need to do is present their claim stub at the pick-a-prize table. Prizes include products and gift certificates from program sponsors like Pandora, JCuppacakes, Detoxify Bar, Fitness First, Tokyo Posh and Curves. Guests can also learn more about Megaworld Lifestyle Mall’s Pink Power activities during this event, including the Pink Power promo which will help shoppers get started on a healthier lifestyle. For every single or accumulated receipt worth P3,000 from any Eastwood City, Newport Mall, Lucky Chinatown and Venice Piazza establishment from October14 to 20, the customer is entitled to a pick a prize and win a gift certificate from participating sponsors David’s Salon, Big Apple Express Spa, Curves, Bikram Yoga, Pink Parlour, White Space Mind and Body Wellness, Body Worx Spa and Fitness Club and Bioessence. Receipts can be presented at the redemption booths located at the Ground Floor of Eastwood Mall, at the Ground Floor of Lucky Chinatown, Binondo, at the second floor of Newport Plaza, Newport Mall and at the Venice Piazza Atrium in Venice Piazza at McKinley Hill. The Eastwood Mall signage (fronting Eastwood City Walk) and City Walk Clock Tower will also be turning pink in support of Breast Cancer Awareness Month; guests can show their support by getting their photo taken at those locations and tagging Megaworld Lifestyle Malls using #EastwoodPinkPower @eastwoodcity on Twitter and EastwoodCity on Facebook. To learn more about Pink Power at Megaworld Lifestyle Malls, guests can call the Concierge at 7099888, 7090888, 09178380111 or visit www.megaworldlifestylemalls.com.